Hello, I’m Grace Chen, I’d like to share my story with you, and hope you never give up the hope of having a child of your own. My husband and I always wanted to have a child of our own, after two years of trying, no any luck! At the age of 39, my doctor told me that my chance of getting pregnant was very low, less than 5%, I needed to take intensive fertility treatments to boost my chance. Since each treatment costs more than $2,000 (several treatments were expected), and our health insurance only covered one treatment, I decided to go for my grandfather’s fertility formulas, MOMMY. 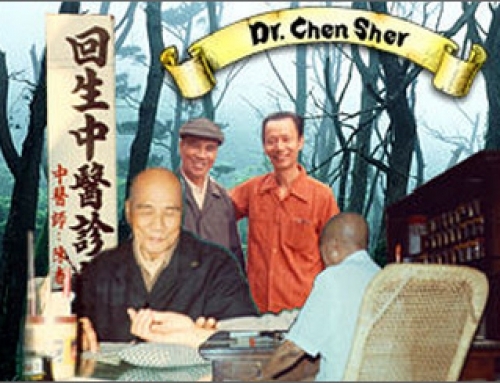 My grandfather, Dr. Sher Chen, was a very famous Traditional Chinese Medicine (TCM) doctor in Taiwan. He had a passion for improving the classic Medicinal Herbal formula, because he was eager to help his patients getting well fast and staying healthy. During the 40 years of his practice; He continued researching treatments for many diseases such as infertility, cancer, central nervous system injuries, polio….and the results were great. My dad also suggested me to try MOMMY, so I did. After 3 months of taking MOMMY, I felt something different. I felt better myself, and I have more energies in life both physically and sexually. Few weeks later, I went to see my doctor and took a pregnancy test; I couldn’t believe myself I finally got pregnant. Thank you MOMMY, it helped me to get pregnant in about 3 months. Thank you my grandpapa who developed this formula during his 40 year of practice in TCM (Traditional Chinese Medicine). 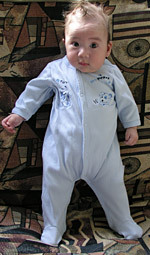 Here I am, my son is 4 months and 10 days old now. He can stand up by himself with a little support. He is such an angle! Our marriage is full of happiness with this little guy. I’m really happy that I didn’t give up the hope of having a child of my own. I really want to share my joy with you! MOMMY worked incredibly for me!! Please keep in touch with me at grace@herbalshop.com, I will be more than happy to hear from you. 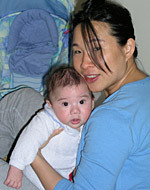 My husband, kai kai, and I came home from the hospital, we were so exhausted yet happy.